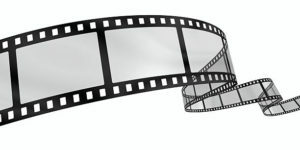 For those film buffs who are interested, The Lighthouse International Film Society will celebrate its 10th anniversary from June 7 to 10 here on LBI. Read all about the festival HERE in The SandPaper. 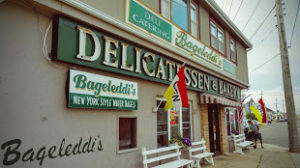 Those of you who are a fan of Bageleddi’s in Ship Bottom might be interested to know that it is now in a new location just a couple blocks south of the old one. The old Cedar Garden retail florist shop was aquired by the Bageledi’s owners and will offer outdoor dining. Read all about it HERE in The SandPaper. 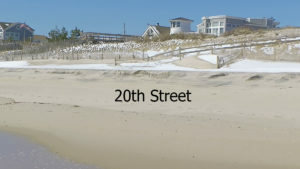 The Surf City Land Use Board recently denied an application by the owners of the Surf City Hotel for outdoor dining. Read all the details HERE in The SandPaper. Also please note that the once free LBI Shuttle service will now cost $2 for a one way trip and $5 for an unlimited day pass. 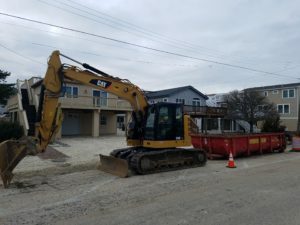 Read all the details about the new shuttle fees and many other new and interesting LBI developments HERE. The igloo doghouse type structure elevated right to the south of the causeway in the marsh was recently spotted with activity of the peregrine falcons that have nested there. If you don’t already know by now there are three local municipalities banning businesses from using single use plastic take away bags. 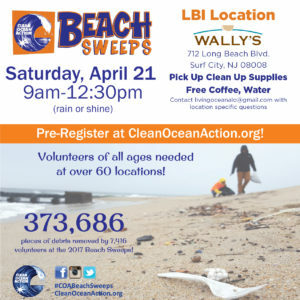 They are Stafford Twp, Harvey Cedars, and Long Beach Twp. So don’t forget to bring your reusable bags with you when shopping and read about all the details HERE in The SandPaper. Road work has begun on Barnegat Ave in Surf City so use caution when navigating that roadway. There are alot of heavy vehicles and construction equipment in the area. 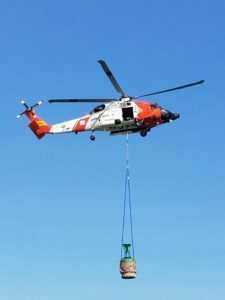 It is very important to pick up debris on the beach and dispose of it properly. And here’s an event that can actually make it fun. Please consider volunteering and remember, the wildlife will thank you for it. 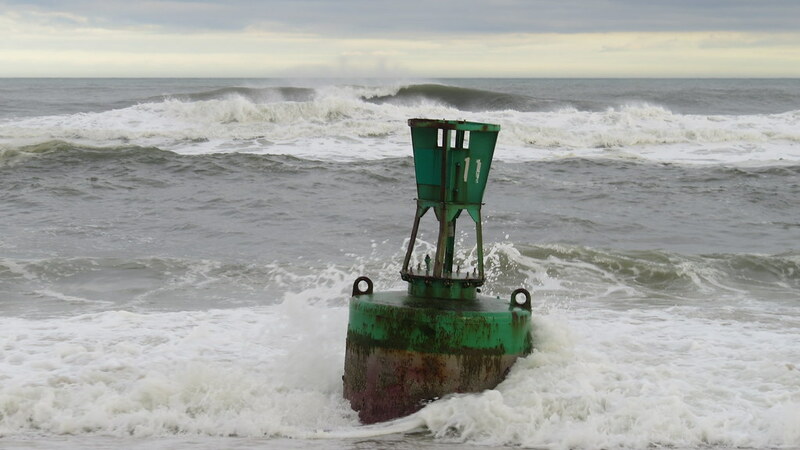 Ocean pollution is a terrible thing that is detrimental to all living creatures. 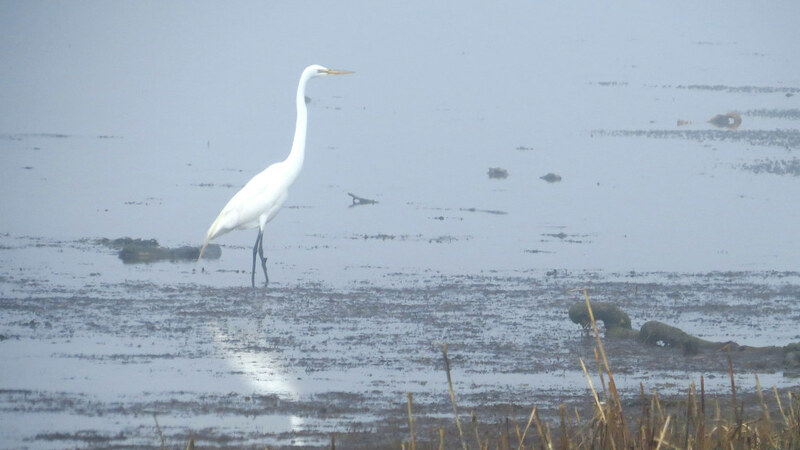 These are photos of a local terrapin turtle and a great egret and taken recently in the Holgate Wildlife Refuge. One of the worst locations on the island for plastic overwash. Plastic bottle caps gathered for disposal. 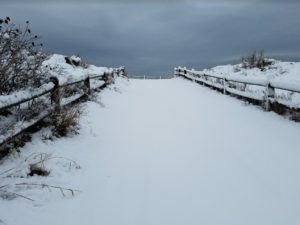 Our fourth March nor-easter rolled through on the 21st ushering in spring w/a bang! 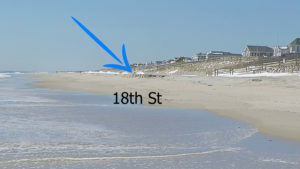 The island got around 10″ of the white stuff and there is some moderate beach erosion showing in Surf City now. Also the snowy owl in Holgate is still hanging around here in our early spring season. Some hearty hikers have been taking to the beautiful refuge to try and snag a glimpse and a photo of the fat bird! 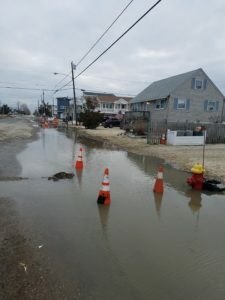 Please be aware of the sewer drainage work being done on Barnegat Avenue. Below is a timetable of the scheduled work. 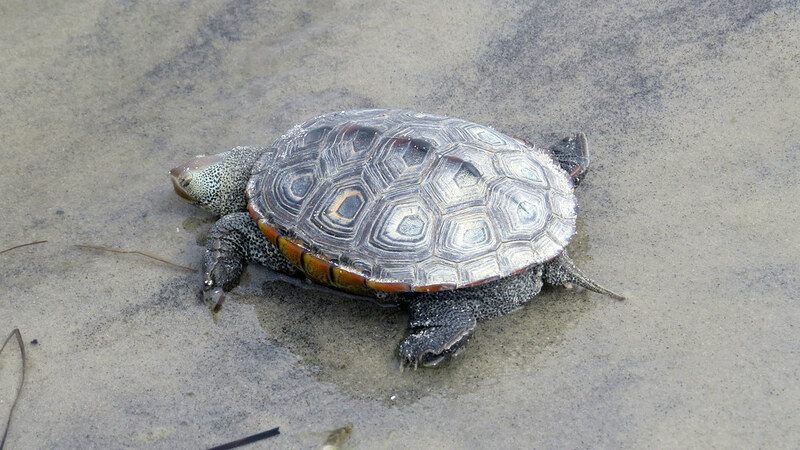 The work will replace a few of the old storm drains that flow into the bay with upgraded ones that don’t allow plastics and other items to get into the system. Spring street sweeping has been contracted for and at this time it’s scheduled for the week of April 23rd. It will be important that vehicles not be parked on side streets so that we can get the most thorough job possible. SCPD will be using social media to assist in alerting residents. 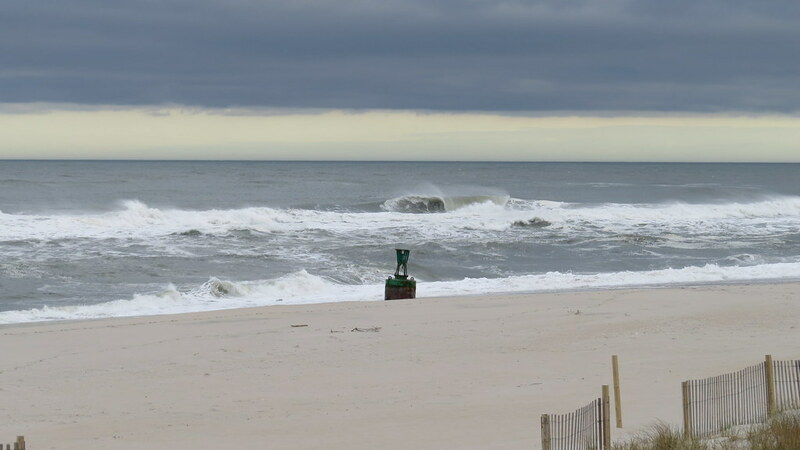 It’s been a rough start to March here on LBI. Starting on Friday the 2nd with winter storm Riley and ending on Wednesday the 7th with winter storm Quinn. The flooding became quite severe when Quinn rolled through. Flood waters hadn’t been seen that high since Superstorm Sandy hit back in 2012. Largely due to the fact that the water was piled up in the back bays from Riley and hadn’t fully receeded yet by the time Quinn hit. Some great photos HERE in The SandPaper. There was also sitings of hail and “Snowthunder” reported. As the Taxpayer Association for Surf City, we wanted to let you know about a new development concerning your state and local taxes. 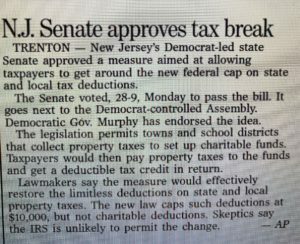 See the article below from the Philadelphia Inquirer. Apparently a few other states are also trying this. It is possible that the IRS will try to block efforts like this. But it might take awhile to wind it’s way through the courts. 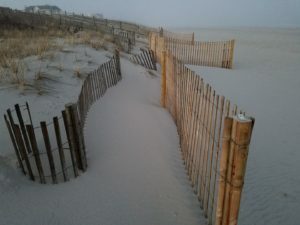 On another front….we’re wondering if this newly erected Surf City dune fence will still be here after the nor-easter this weekend. Let’s hope so.